Bangalore-based Tracxn Technologies Pvt Ltd, which analyses and detects trends in the Indian startup ecosystem, has secured an undisclosed amount in funding from a slew of top techpreneurs that include Nandan Nilekani, Mohandas Pai, Whatsapp’s Neeraj Arora and Junglee co-founder Anand Rajaraman among others. Girish Mathrubootham (founder and CEO of Freshdesk), Aneesh Reddy (co-founder and CEO of Capillary Technologies) and Japan-based investor Teruhide Sato (founder of Beenos) also participated in the round, a statement from the company said. The funding comes close on the heels of Tata Sons chairman emeritus Ratan Tata’s investment in the company last month. “They bring an invaluable experience of having built large global enterprises and diverse geographical presence which will be vital as we scale Tracxn,” said Abhishek Goyal, CEO and founder of Tracxn. 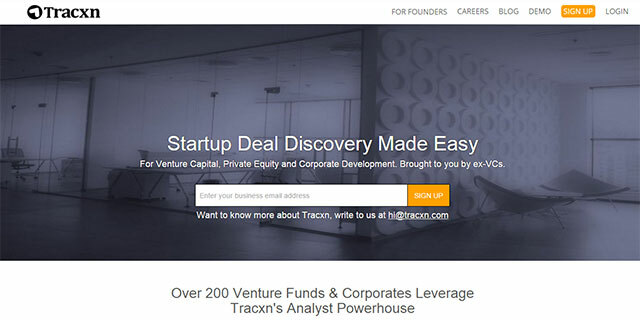 Tracxn was founded in 2013 by former venture capital investors Neha Singh and Abhishek Goyal. The startup has an incubating arm called Tracxnlabs which typically invests $20,000-$50,000. In June last year, Tracxnlabs secured $10 million in a round led by the Bansals of Flipkart. The company also operates Tracxn Syndicate, its angel network which facilitates early stage funding into startups. In April 2015, the firm raised $3.5 million from SAIF Partners. Tracxn’s offerings compete with some products of The VCCircle Network, whose businesses include subscription data products and a subscription-led news website.